Linear worked with Oldendorff to create a workplace reflective of their brand and global guidelines, whilst still incorporating local references. Essential to Oldendorff was a connection to the Bay and shipping. The selection of 8 Exhibition St. enabled their people uninterrupted views of Port Phillip Bay and a beautiful backdrop to their workspace. 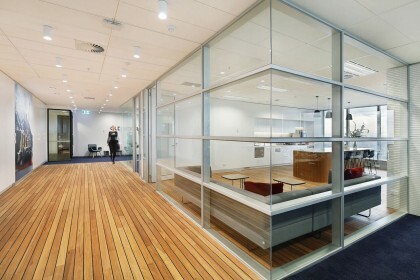 Key design elements reference shipping through the feature deck floors, blue carpets, ship displays and graphics. The look and feel is light, open and simple. The workspace enables Oldendorff’s people to work in an open and collaborative environment with sit to stand desks focused on teaming.